Beautiful, youthful skin is your best accessory! Let’s start by saying that we are skin care fanatics here at Body Heat Tanning & Spa! Not only do we want your skin to look great now, but we want it to look great 10 and 20 years from now! Our goal is to always help you look and feel your best. 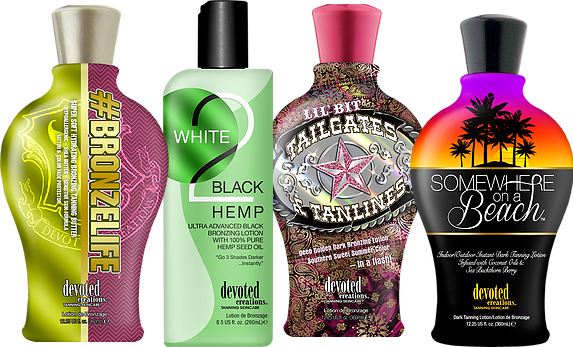 Products formulated specifically for indoor tanning enhance and stimulate the body’s natural tanning process. Dry skin “reflects” and Moist skin “accepts”. The sun can dehydrate and dry your skin. This is why it is extremely important to replenish that moisture with professional skin care lotions, both before and after tanning. Our lotions are “bio-engineered” specifically for indoor tanning, so they are packed full of vitamins, nutrients and amino acids which aid in the tanning process and replenish any moisture that is depleted as your skin works to develop a tan. Applying indoor tanning lotion prior to your tanning sessions will not only protect the moisture levels in your skin, but allow your pores to open up and magnifying the UV exposure. By controlling the tanning process thru magnification, moisturization, and skin conditioning, you will achieve deeper, darker color and a longer lasting tan. Offer all the benefits found in better lotions, but formulated with top-of-the-line ingredients for those who demand the best in tanning results and skin care. Top-of-the-line skin care ingredients such as those found in Estee Lauder’s restoring under-eye cream and Clinque’s daily moisturizer. Usually formulated as BB or CC creme formulas which leave skin with an airbursh finish – not oily or shiny – but perfectly matte. Formulated with ingredients such as Resveritrol, Hyaluronic Acid, Apple Stem Cells, Gold of Pleasure Oil, Kollaren, Cell LD, Snow Algae Powder, Cashmere Extracts and more, which work to repair cell damage and fight chronological signs of aging. Increase collagen production in the skin, reduce the appearance of wrinkles, minimize pore size, help break down skin’s stored fat accumulation, firm, hydrate and plump the skin, rejuvenate and protect skin at the cellular level, fight cellulite and more! Contain additional melanin-boosting peptides and amino acids (on top of Tyrosine) to help break through tanning plateaus, as well as remarkably high levels of DHA, Natural & Cosmetic Bronzers for the most immediate results and long-lasting color! Advanced skin care ingredients replenish nutrients, vitamins and amino acids which are depleted from the skin during the tanning process. Improve skin tone & texture and reduce the appearance of skin blemishes such as wrinkles, stretch marks, cellulite, or blotchy complexion. 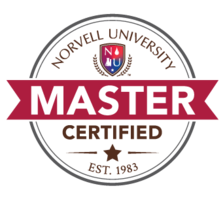 Higher concentrations of melanin-boosting Tyrosine for increased tanning results. Proprietary blend of deodorizing and skin freshening ingredients which eliminate any “after-tan odor” following tanning sessions. Often known as maximizers, optimizers or intensifiers, these lotions accelerate the tanning process by speeding up melanin production and stimulating Tyrosine activity, allowing the skin to tan up to 50% faster. Designed for new tanners, lunch-time tanners and those who want natural results without the use of additional bronzers. Your face is the main feature that sets you apart from everyone else in the world. It’s the part of you that attracts the most attention and, consequently, the part that you’ll probably spend the most time primping. The skin on your face is also one of the most sensitive and vulnerable areas of skin on your body. You simply cannot treat it the same way you treat the rest of your skin. Facial lotions have the same function as tanning lotion, but are specially formulated to be much gentler on your skin. The ingredients in our facial products are non-comedogenic, meaning they won’t clog your pores, contain little or no fragrance, and are hypo-allergenic to prevent sensitivity and breakouts. Believe it our not, your legs may have a more difficult time developing and maintaining a tan than the rest of of your body. This is primarily because our legs are further from our hearts. The heart circulates blood throughout the body, and blood carries oxygen; oxygen must be present in order for UV light to oxidize the melanin in our skin. Legs typically do not develop color as well as areas of the body which are closer to the heart, such as our stomach and chest, because there is less oxygen present in the blood as it travels throughout our body. Shaving our legs can cause color to fade faster, as well, since the process accelerates the rate of exfoliation. Tan extenders are products applied after and in-between tanning sessions which are designed to do extend the life of your suntan. All of our tan extending lotions feature an aloe base, with added ingredients such as cucumber and lotus flower extracts, argan oil, dead sea minerals and 100% pure hemp seed oil to provide your skin with immediate and long-lasting moisturization. Mineral oil is never found in the products we sell. All of our tan extending body washes, scrubs and shave creams are free of sulfates, which strip essential oils and moisture from the skin, causing your tan to fade faster. Tan extenders are specially formulated for tanners skin and contain potent anti-aging ingredients and deep hydration benefits that are not found in mass market products. They are designed to repair skin damage, improve tone & texture, increase elasticity and work to reverse the signs of aging. Tan extenders not only protect against premature aging of the skin, but protect your hard earned time and money by providing your skin with added color that prolongs the life of your tan and keeps your golden hue looking fresh and fade-free between sessions. 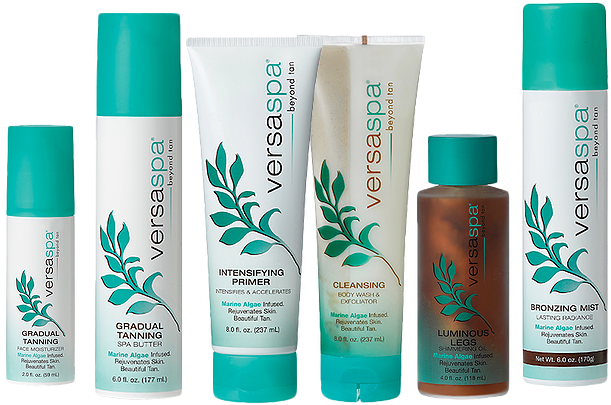 Go beyond tan with VersaSpa’s unique blend of green & brown marine algae to moisturize, oxygenate and detoxify skin for a beautiful tan. These top quality cosmetics are capable of producing impressive results by themselves; but in conjunction with red light therapy, the effect of the Collagenetics Skin Care line is outstanding. 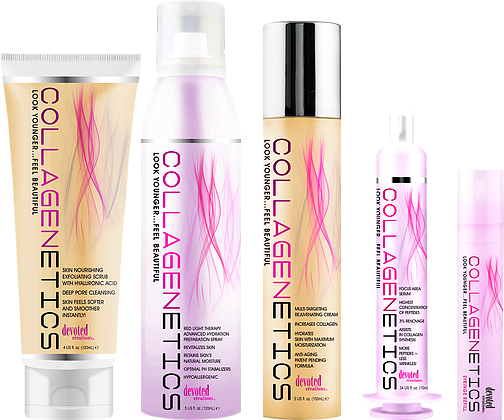 The Collagenetics system is comprised of four products which have been scientifically designed to work in conjunction with each other to activate and intensify the results from the Beauty Angel Red Light Therapy System. Together, they will promote collagen production in the skin to reduce the appearance of fine lines, wrinkles, and aging. 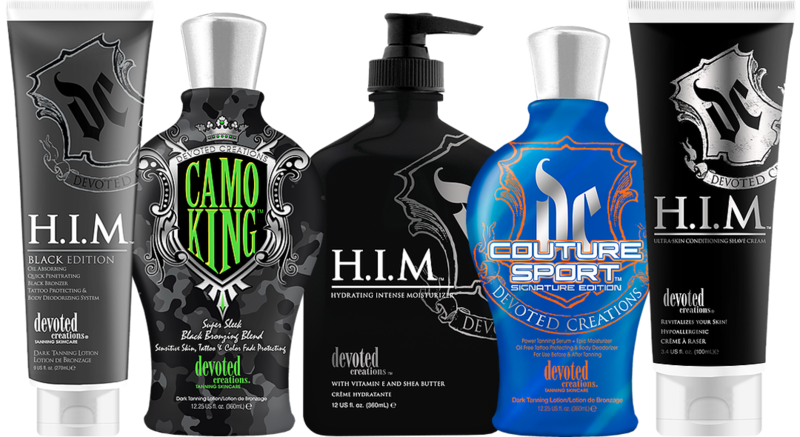 Lightweight, yet intensely hydrating, these products are specifically formulated for men to provide the best skin care and tanning results. Dry skin reflects UV light, so if you are not using an indoor tanning lotion, you are wasting up to 50% of your tanning session. Don’t be fooled, over-the-counter lotions do not contain the necessary ingredients that will maximize your tanning results and extend the life of your tan. It’s better to invest a little more time and money now to keep your skin looking youthful and healthy, than to spend too little now, and regret it later. Your skin is your largest organ, and healthy skin is the foundation of a great tan. Invest in your skin by using professional products designed for indoor tanning and keep it looking healthy and beautiful for years to come. We offer our guests a wide selection of options at prices to fit every budget. We carry moderately priced lotions that offer great results, and of course, high-end products for our clients who desire the best tanning results combined with the very best skin care ingredients! FYI. We don’t carry anything that we haven’t tried, and fallen in love with, ourselves! You can learn more about the different skin care products we carry below. Or, let one of our Tanning Professionals help you find all of the products you’ll need to keep your skin, and your tan, looking its best.